Download and mix the world-class session of ‘Super Rad!’, produced by Jim Goodwin – and work on performances by a-list musicians such as Travis Barker (Blink 182) on Drums. We transferred the Multitracks from the original Master Tape to digital, so you can mix them inside your DAW. 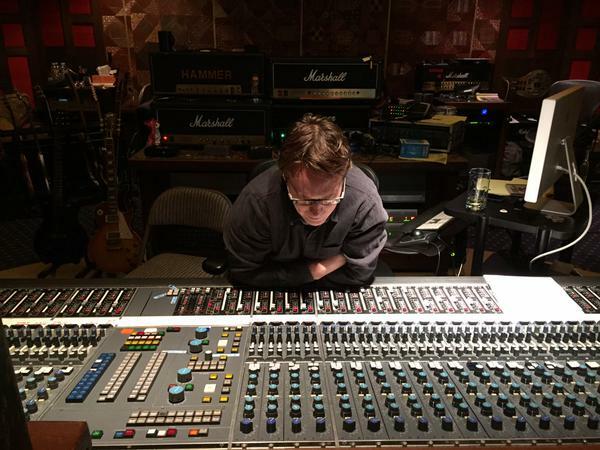 Producer and mixer Cameron Webb has worked with multiple platinum selling bands including Motörhead, Sum 41, NOFX, Megadeth & Limp Bizkit. In 2004, he won an Grammy award for engineering due to his work on Kelly Clarkson’s album “Breakaway”. 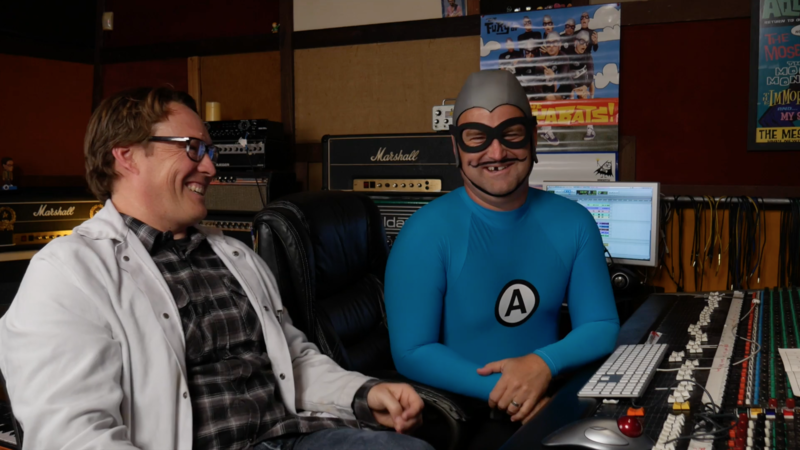 Cameron has been working closely with The Aquabats! and lead singer Christian Jacobs on his TV shows ‘Yo Gabba Gabba’ and ‘The Aquabats Super Show!’ for many years. As Mixers we constantly strive for the perfect sound: How can we achieve more clarity, more punch, more excitement and emotion in our mixes? We have great taste and we don’t settle for mediocre – That’s what makes our music stand out! But sometimes it’s not easy to achieve the sound we’re looking for: When comparing our mixes to professional releases, the low-end seems lacking, the drums aren’t punchy enough, or the vocals get lost in the mix. – How do the pros do it? 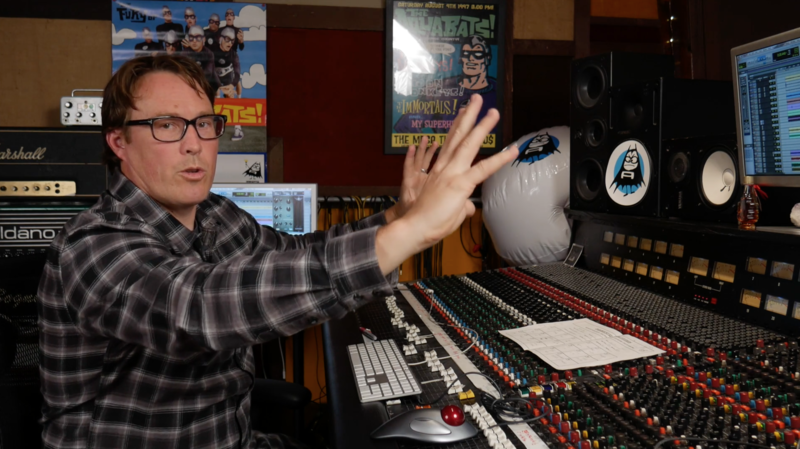 In this course, Grammy winner Cameron Webb lets you look over his shoulder, as he re-mixes The Aquabats! most popular single ‘Super Rad!’, which boasts millions of streams on Spotify and Youtube – even 20 years after its release. 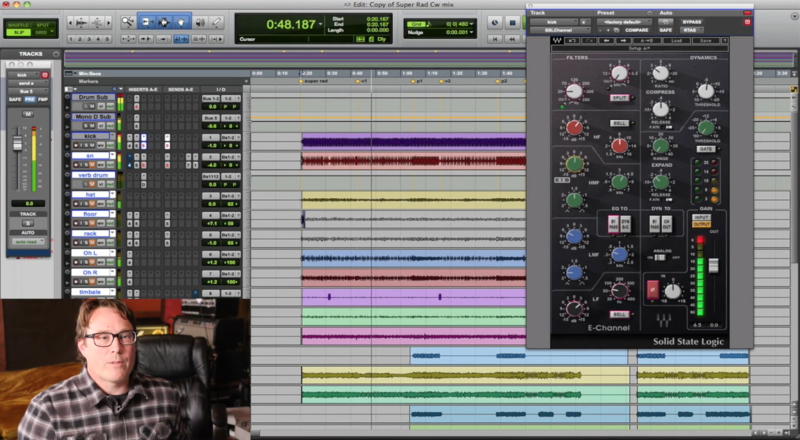 Cameron lets you in on his mixing secrets and shows you how achieve clarity, energy and impact in your mix, while preserving the musical vision of the artist. – So they keep coming back to you over and over again. Gain insights that previously would have only been available with years of audio schooling, interning in studios, scrubbing floors and making coffee. – Handed to you in a detailed 3h course! Cameron mixes 100% in the box, using plugins only. – Which means you can apply these techniques and achieve the same results in YOUR HOME STUDIO! In almost any genre, vocals are the most important part of your mix. Learn how to add energy and excitement to the performance by using Compression, easily identify which frequencies to cut and boost, and learn how to use De-essing to achieve a present vocals that never sound harsh. It’s been said: ‘In mixing, the low-end is what separates the men from the boys.’ Rip off the tricks Cameron uses to manage his low-end – and achieve more punch, definition and energy in your own mixes. 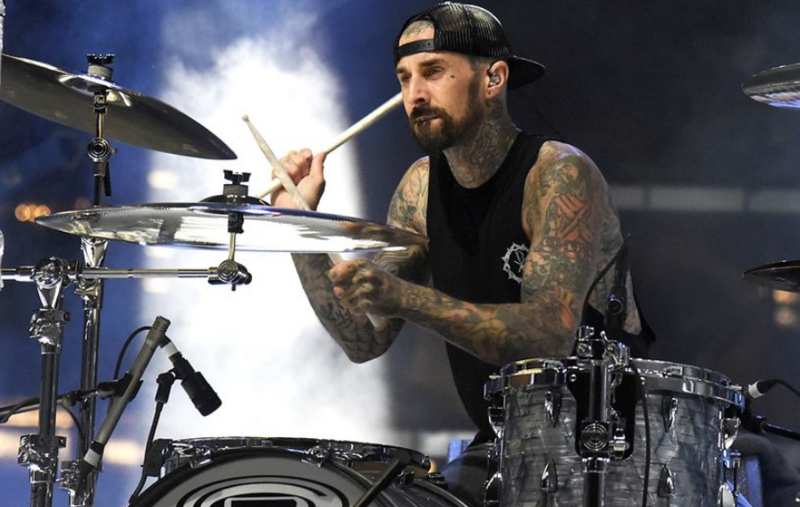 Drums can be one of the hardest things to get right in the mix, simply because there are so many options to choose from. Cameron shares this workflow and shows you an easy way to achieve a full and punchy drum sound – without using samples. If you want to build a lasting career as a mixer, it’s paramount to cherish the musical vision of the producer and artist. Cameron shows you how to preserve the feeling of the production, while taking the sound to the next level. So your clients keep hiring you over and over again. Learning new mixing techniques and tricks is great – and you will learn plenty of them in this course! But the important question is: When and why should you use them? Cameron doesn’t only show you every single mixing move he makes, but he explains the reasoning behind his decisions, so you can adapt his workflow and make it your own! 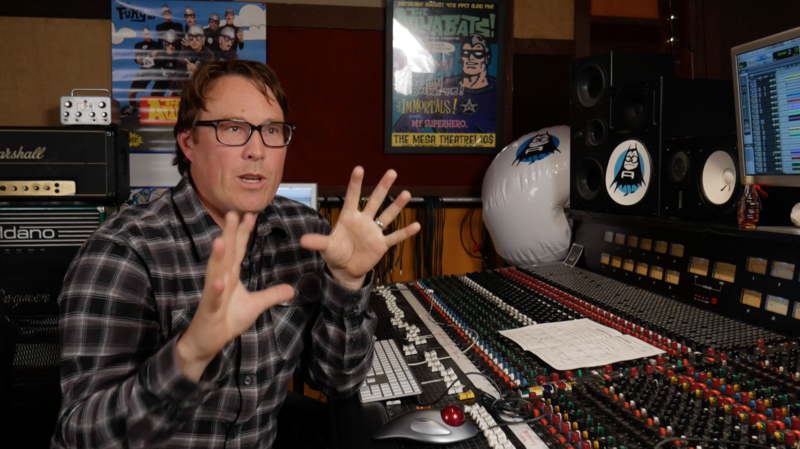 ‘This is the funniest and most refreshing mixing course I’ve ever watched! The multitracks are incredibly well recorded and I’m having a blast mixing them. Thank you so much guys! Don’t wait to take your mixing to the next level. 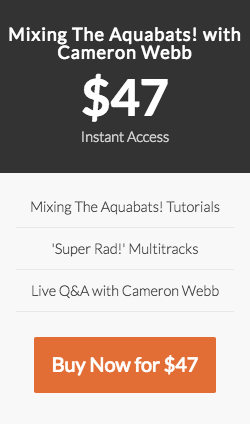 You can buy Mixing The Aquabats with Cameron Webb right now for only $47. If for any reason you don’t feel that your mixing has improved after watching this course, simply shoot us an email within 30 days and we’ll give you a full refund, no questions asked. 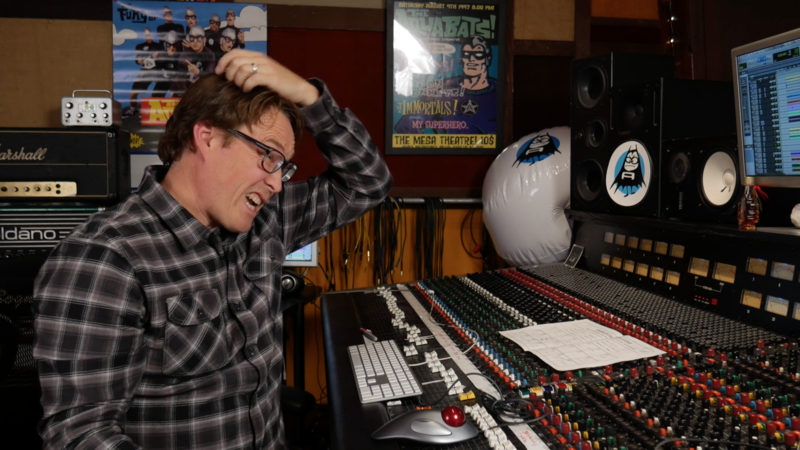 Mixing The Aquabats! is a collection of downloadable zip files. These downloads are yours for life! We are working on a streaming solution for future release. We will contact you via email once the members area launches. Absolutely. We’ve included all of the original Multitracks of ‘Super Rad!’, transferred from the Master Tape to high quality .wav files! The Aquabats! are a combination Ska molded with elements from multiple different genres. You can apply the techniques and concepts he is teaching in this course across all genres.